Y o u r W e d d i n g H a i r . . . 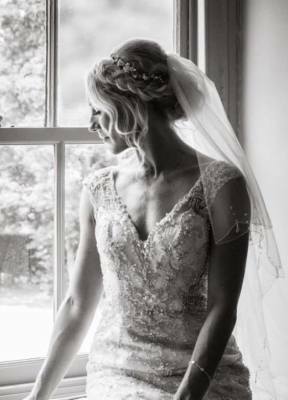 Your wedding day is not only one of the best days of your life, but it is also the day where you can look and feel your ultimate best to a more beautiful you! 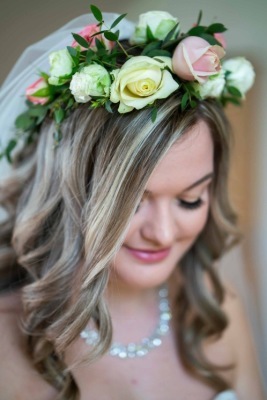 Your hair shows off your personality, therefore it is important that you feel like you on your special day. 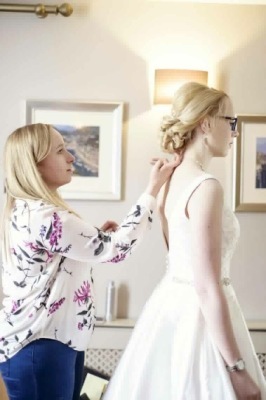 Together we will discuss your visions, style, likes and dislikes, and use my expertise to advise where needed; together we will create perfect and bespoke hair styles for you and your bridal party. 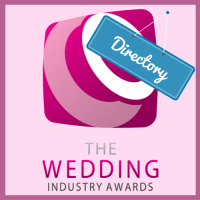 My aim is for you to have a relaxing, enjoyable and exciting experience, from our initial contact, to the big day. 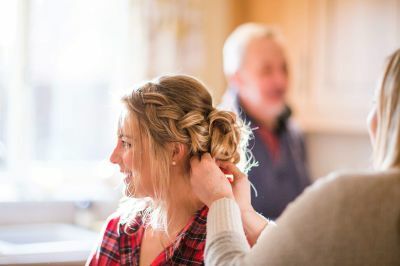 Your wedding hair will look astounding from every angle throughout the whole day from the moment you're aisle ready, to the moment you kick your shoes off at the end of the night! Y o u r T r i a l . . . 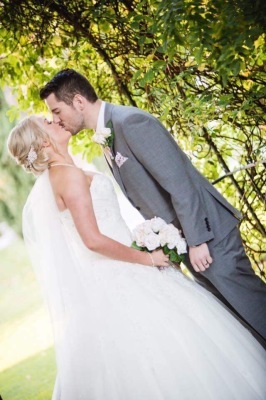 Your hair trial is the perfect opportunity for us to discuss everything about your wedding. I like to know as much as possible so I can help achieve your perfect hairstyle for the ultimate desired look. 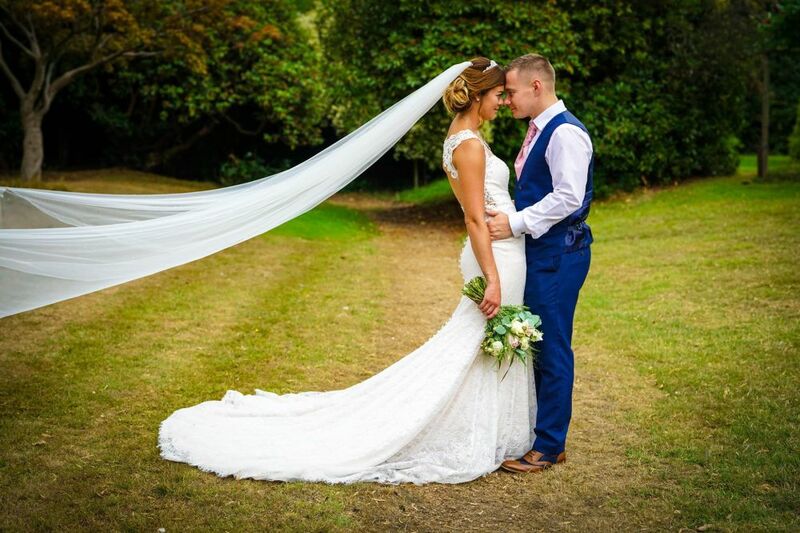 There is no time limit on the trial, as I also use this time for the consultation to discuss the hair style for the rest of your bridal party, if any. However, please allow at least 3 hours as I want you to be 100% happy with the chosen style. 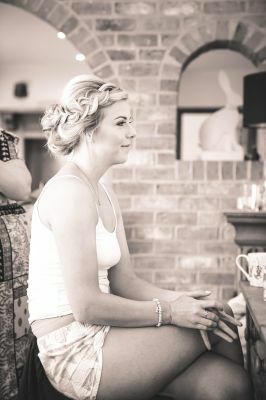 From here, I will take photos and provide you a schedule which not only works flexibly around the makeup artist, but also perfectly around photographers to help the morning of your wedding run smoothly. At the trial, it is always helpful for you to bring images of styles you like, even if they are all different as you may prefer the back on one style but the front of the other etc. 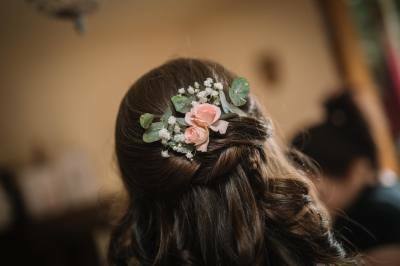 Also, please bring along any hair accessories you would like to wear on the day, but don't worry if you don't, as I always have different hair accessories at hand so you get an idea of what may look best - and a bouquet of flowers just in case you are wearing real flowers in your hair on the day! 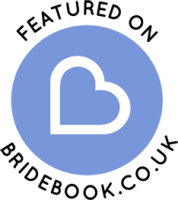 I advise that the trial takes place around 6 - 12 weeks prior your wedding date, but if you prefer this sooner, that is absolutely fine! Y o u r W e d d i n g D a y . . .
On your wedding day, I will arrive at the chosen venue, or home, at the discussed time from the trial. This is usually 10 minutes prior the start of the first person’s hair being styled. 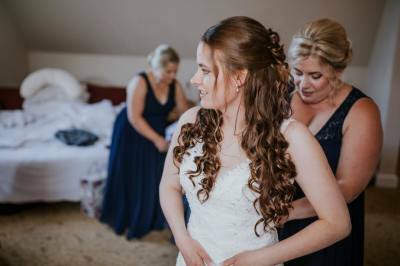 It is important that all the bridal parties hair is complete at least one hour before the ceremony; this allows time for photos and getting into your dresses. This way you can fully relax and take in that special moment with family and your bridesmaids before marrying the love of your life! After all, it's your wedding day! I will be on hand until the moment your hair is complete, to help with lacing dresses and final touches until you are ready to leave to enjoy the rest of your day.